United Nations refugee agency UNHCR will “intensify our presence and help” in Colombia after its chief visited the border with Venezuela. The UN High Commissioner for Refugees Filippo Grandi visited the border town of Villa del Rosario in Norte de Santander on Sunday as part of a tour through Latin America to assess the migration crisis. 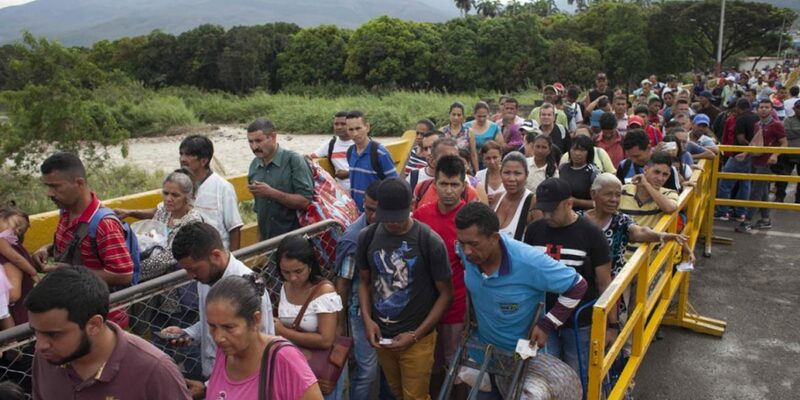 “The constant flow of Venezuelans entering Colombia generates monumental challenges to address their humanitarian needs,” Grandi said on the UNHCR’s website. Of the more than 2 million Venezuelans who are estimated to have fled their country over the past two years, almost a million are believed to be in Colombia. According to the UNHCR, 4,000 new refugees cross the border with Colombia, which was already struggling to deal with the 7.5 million people displaced by the country’s armed conflict. I am impressed by Colombia’s efforts to document, feed, shelter and care for thousands of Venezuelans arriving every day. In order to prevent a massive number of illegal immigrants, the Colombian government has granted temporary visas and work permits, but the many Venezuelans “without access to a legal status are particularly vulnerable to exploitation, trafficking and discrimination,” said the UNHCR chief. Particularly in the border region, Colombia’s health services are on the brink of collapse as — apart from the refugees — many Venezuelans make day trips across the border to seek food and medical care that have become scarce in their home country. Colombia’s national government “needs more international support,” according to Grandi, who vowed to increase the capacity for first response aid on the border where many arrive on foot, and are hungry or ill.